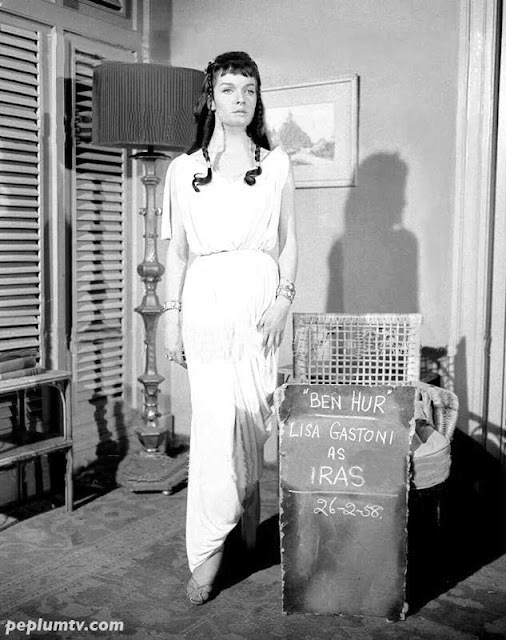 Italian actress Lisa Gastoni's screen test for BEN-HUR. I have to rewatch the film to see if she made it but the character's name, Iras, is not listed so maybe her character was cut or something. Very interesting though. Lisa would go on and make tons of PEPLUM films.